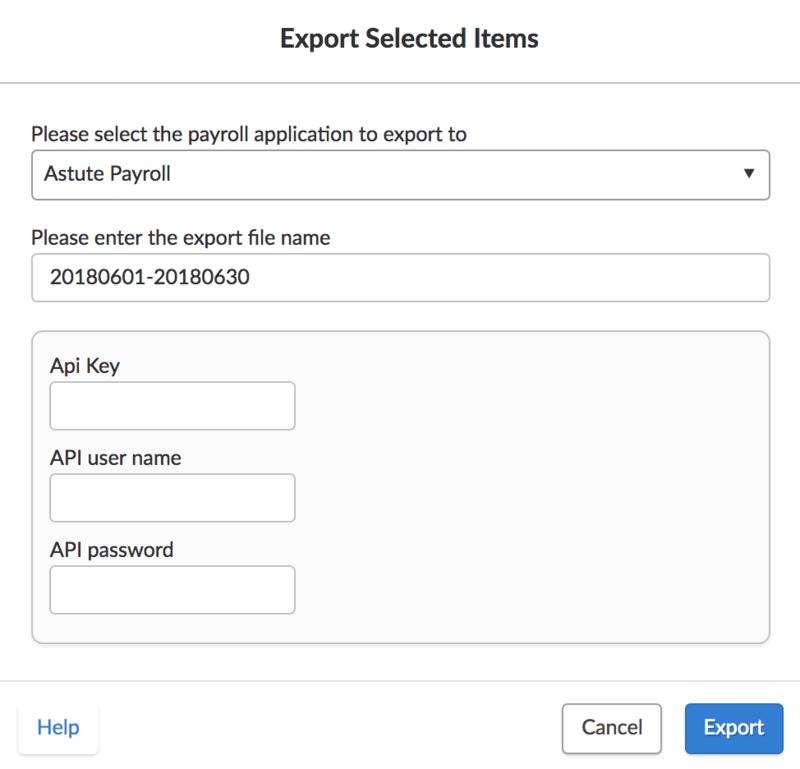 This guide walks you through the process of exporting your timesheets to Astute Payroll. 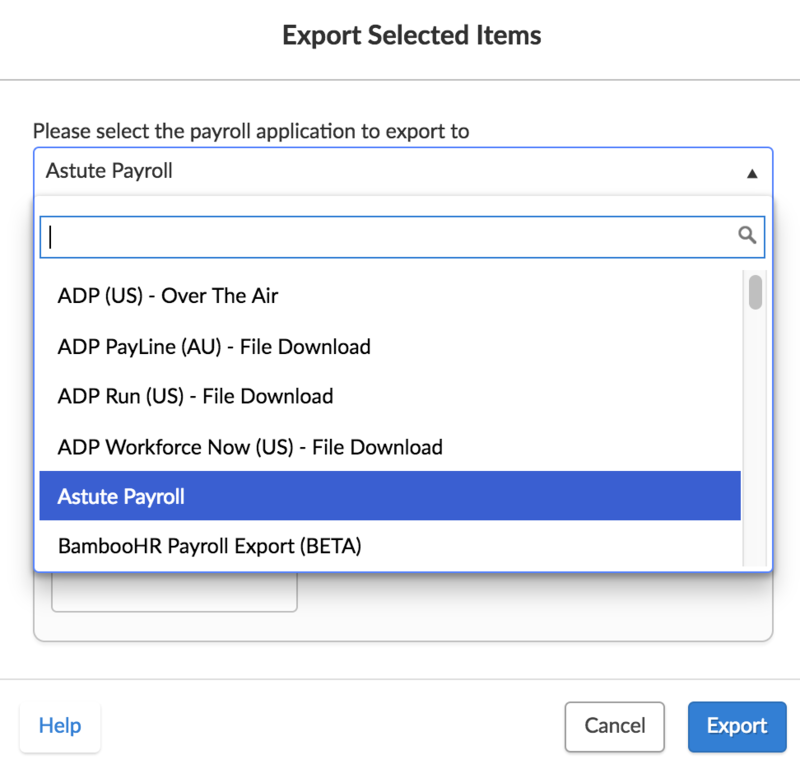 You can export timesheets directly into Astute payroll via the Deputy export timesheets section. This guide walks you through this process. Please ensure that you have your Astute API KEY, API USERNAME and API PASSWORD. Your API key can be retrieved from Astute support, or your account manager. First, ensure that you have approved timesheets. Now, navigate to the Export Timesheets section within Deputy, select the employees you would like to export, then click 'Export Selected Items'. In the pop-up window, select 'Astute Payroll' from the drop-down menu'. From here, you can change the export file name. In the following boxes, enter your API key, API username, and API password. When the correct credentials are entered, click Export.